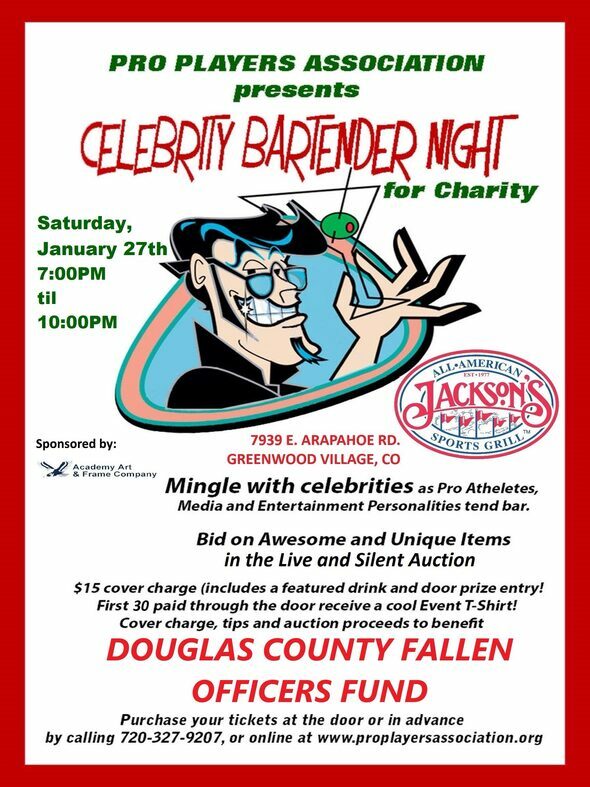 Celebrity Bartender Night tickets for January 27 are NOT available online, and can ONLY can be purchased at the door. Pro Players Association Celebrity Bartender Night at The Playing Field, Colorado Springs to benefit Police Officer Larry Danrnall's "Fight for Life"
Thanks to our Bartenders: Larry Evans, Goose Gossage, Mark McGrath, Ashley Giovanna; and our Sponsors: Anheuser-Busch, The Playing Field, Academy Art & Frame Co., and The Jeffrey Alan Band. 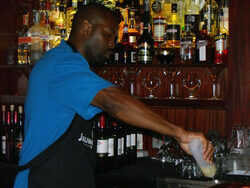 Musical Entertainment by LEE & Co.
Fred Gayles pouring a beer. 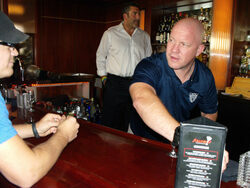 Paul Howard chats with the bar owner. 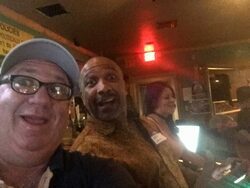 Gary Adler goofing with Bartender Mark Jackson. 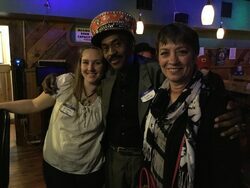 Jacque Howard enjoying the festivities. Cas Foste and Susan Negley hugging the LimoDriver. 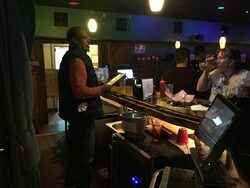 Bartender Larry Evans going over the menu. 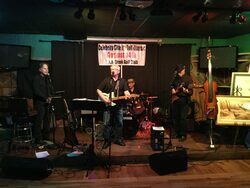 LEE & Co. kept the beat going all night long! 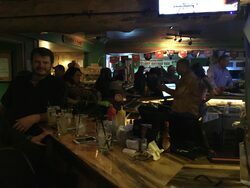 A good crowd at the bar. 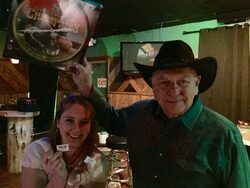 Cas Foste pulled the winning door prize ticket. 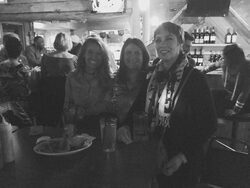 Chrysandra Brunson, a friend and Susan Negley having fun. 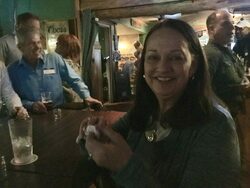 Celebrities mingled as they tended bar, several awesome auction items sold, Craig Hauenstein provided live musical entertainment. 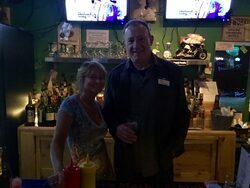 Celebrities who attended included: Heavyweight Boxer Chris 'DaFuture' Green, Denver Broncos Alum Larry Evans, Dave Studdard, ChrisBrewer, Mile High Sports Radio's Gil Whiteley, Sports Radio's Fred McHenry, Special Guest Bartender Castle Rock's Own -'The Brooklyn Vet' Dr. Deb Patterson. The event was sponsored by Budweiser, Brooklyn Veterinary Clinic, Castle Rock, Synergy Animal Wellness, Highlands Ranch, and Academy Art & Frame Company, Colorado Springs. This event was a BLAST! 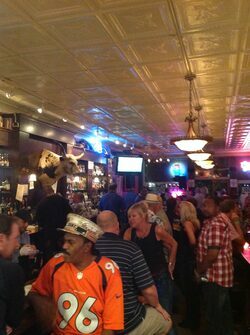 Thanks to the celebs for bartending including former Denver Broncos Mark Cooper, Ron Egloff, and Larry Evans and Ralph Tamm, Heavyweight Boxer Chris 'DaFuture' Green, Mile High Sports Radio Hosts Gil Whiteley and Krissi Bex, Castle Rock Citizen of the Year John Manka and the Mayor of Castle Rock Paul Donahue. 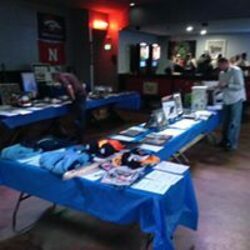 The Silent Auction was almost a sell-out! The next day several texts were received from the celebs: "When can we do it again?" So, yes it was a success! 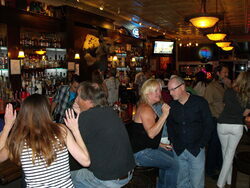 A full house made for a great event!.......... Was almost a sell-out on auction items! 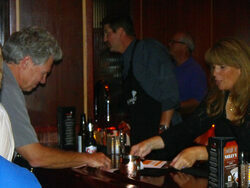 Chris Green, Mark Cooper, Larry Evans and John Grant serving up the drinks for tips . SELFIE! 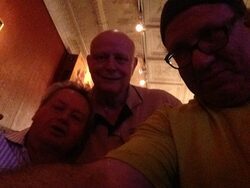 None other than the GREATS Woody Paige and Gil Whiteley pose with CEO Gary R. Adler at Celebrity Bartender Night, Castle Rock. 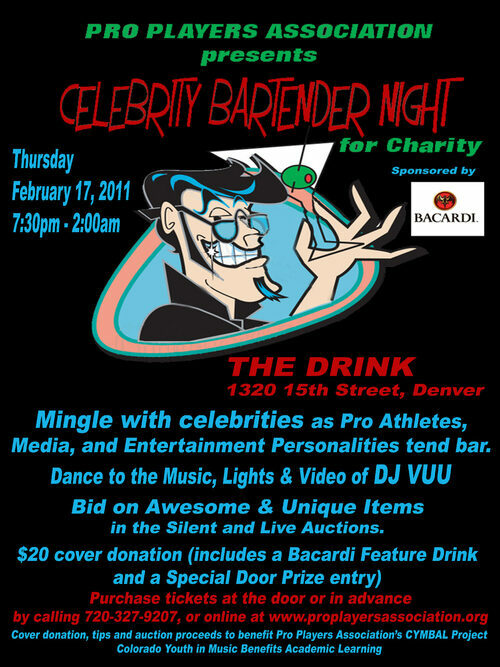 Pro Players Association's "Celebrity Bartender Night", was held Thursday, February 17, 2011, 7:30 pm – 2am at The Drink & The Mix, 1320 15th Street, Denver, CO. 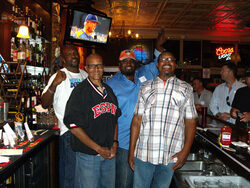 Celebrities from sports, media and entertainment, along with some special guests, tended bar. 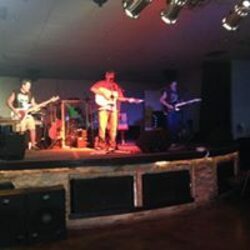 All tips generated at the bar were donated to Colorado Youth in Music Benefits Academic Learning. An awesome evening was complete with music/video/lighting entertainment provided by DJ Vuu for the dance floor. 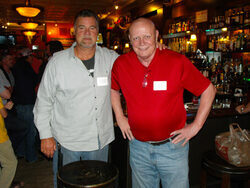 A Silent and Live Auction was held, and door prize giveaways were drawn throughout the event. Thanks to our sponsors The Drink and The Mix, Shamrock Foods, Bacardi, Coors Light, Mobile Memorabilia, Steve Miller of American Auctions, LLC, Malcolm Farley Fine Art, and DJ Vuu. 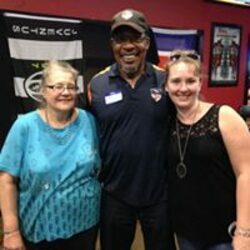 Celebrities from sports, media and entertainment, along with some special guests, tended bar for tips that were donated to the Fetal Hope Foundation and Pro Players Association, both 501c3 charities. The celebrities included former Broncos Dave Studdard, Mark Cooper, Willie Oshodin, AFL Hall of Famer Fred Gayles, Arena League’s Myron Jefferson, Bobby Pesavento (also former CU QB), MLB Hall of Fame Umpire Bob McCaslin, and media personality Mile High Sports Radio host Gil Whiteley. 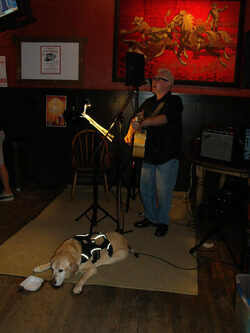 An awesome evening was complete with musical entertainment presented by local radio DJ Mike Harris. 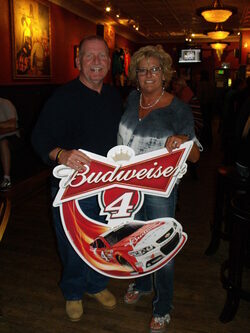 A Silent Auction was held, and door prize giveaways were drawn throughout the evening. 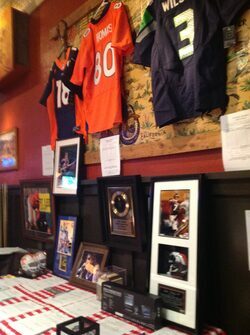 Some examples of the 30 great items included in the silent auction were: Fender Acoustic Guitar; Boxing and Kickboxing Lessons; Carmello Anthony autographed jersey and Colorado Avalanche team autographed hockey stick; Sun Mountain golf bag and custom driver. 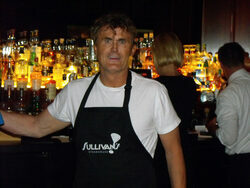 Bobby Pesavento, former CU Buff and AFL QB, serves up a drink at Celebrity Bartender Night at the Blake Street Vault. 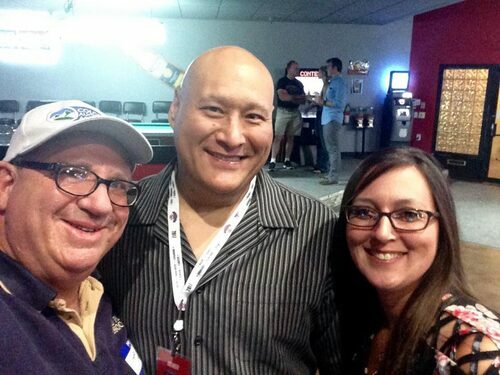 Thanks to Bobby P for inviting all his CU buds! 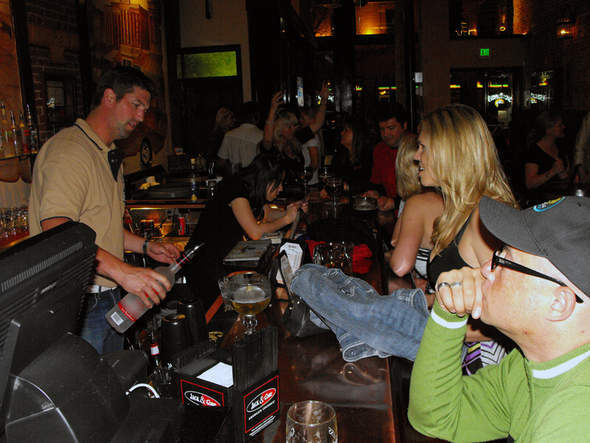 Mile High Sports Radio personality Gil Whiteley (left) schmoozing with some guests at Celebrity Bartender Night, April 22, 2009. 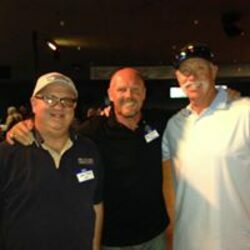 Joe Foley (former Bronco Steve's brother), former Bronco Dave Studdard, and MLB Hall of Famer Bob McCaslin sharing stories over a brew at Celebrity Bartender Night. 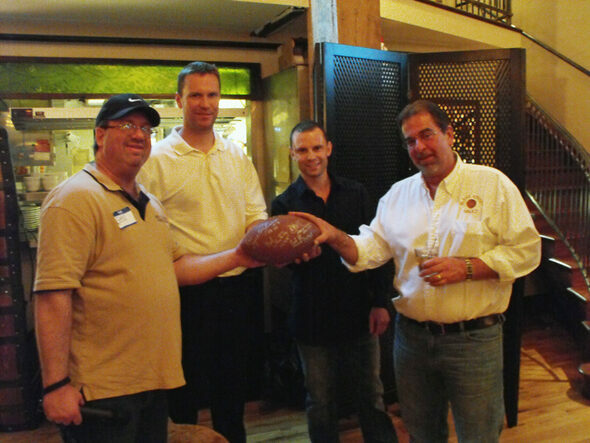 Pro Players Association CEO Gary R. Adler (left) and Fetal Hope Foundation CEO Lonnie Somers (3rd from left) present an NFL Football autographed by all the celebrities who bartended to the owners of the Blake Street Vault, Tim Kilgannon and Kim Reuter in recognition of their support, assistance, and providing the establishment and staff services for use of the event. 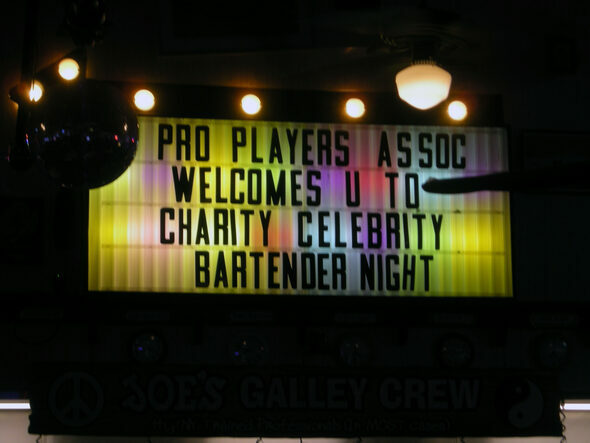 Pro Players Association presented a Celebrity Bartender Night at Joe's Crab Shack, Parker, on Wednesday, June 4th at 7pm. 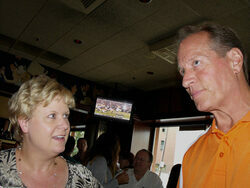 The event was held to benefit the Military Family Relief Fund. Funds raised will aid active-military families in all services of the armed forces to help defray the costs of food, housing, utilities, medical services, and other expenses. 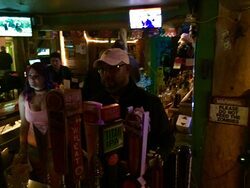 Celebrities from sports, media and entertainment, as well as some special guests, served up drinks for tips to benefit the charity. 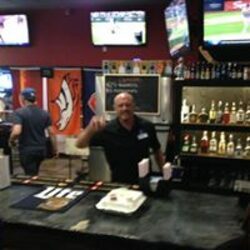 Celebrities who bartended were Mark Cooper, Paul Howard, Bobby Lashley, Marvin Montgomery, Ralph Tamm, Aaron Smith, Bob Mc Caslin, Jim Bob Rogers, Gil Whiteley, Colorado Mammoth Pete Jokicsh, and Parker Mayor David Casiano. 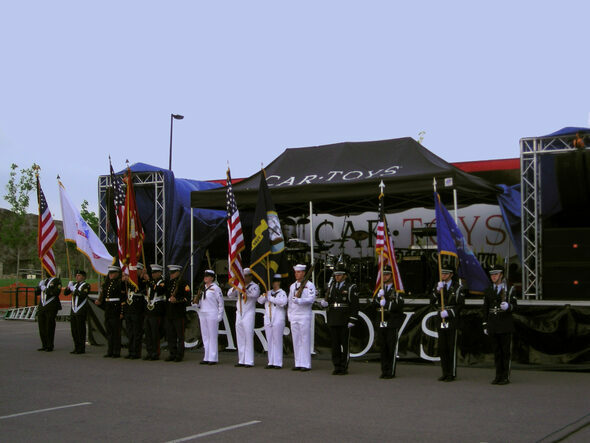 U.S. Armed Forces Honor Guard proudly displays their colors at the Celebrity Bartender Night for Military Family Relief Fund, June 4, 2008 in Parker, CO. Pro Players Association CEO Gary R. Adler is congratulated by Parker Mayor David Casiano for presentation of the Military Family benefit. An awesome evening complete with a patriotic kick-off at the commencement of the evening with the presentation of the colors by the US Marine Corps, US Army, US Air Force, and US Navy Color Guards to the playing of each unit's Hymn and then our National Anthem. 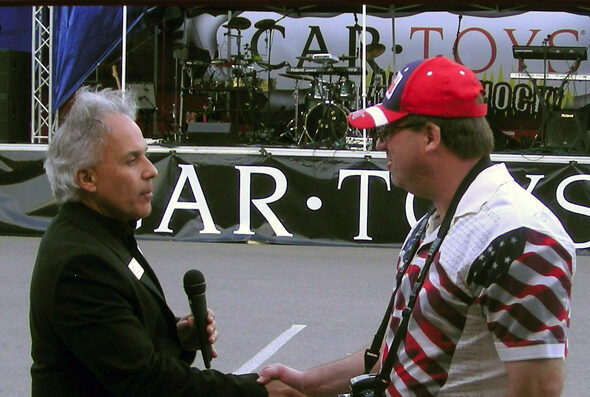 DJ Mike Harris was spinning the hits from 7pm - 8pm, and was followed by a LIVE musical performance by "Chase N The Dream", from 8pm - 10pm on the Car Toys/JBL "Aftershock" mobile concert stage. 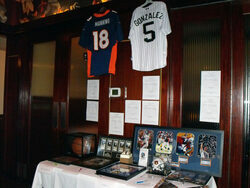 A Silent Auction was held, and door prizes were drawn throughout the evening. 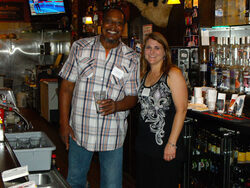 A $20 cover charge was paid at the door which included a featured drink, event t-shirt and door prize entry. Last year, Pro Players Association collected hundreds of school supplies for military families which were then distributed by the Salvation Army. DRINKING AT CHURCH TO HELP SICK KIDS, WHAT A CONCEPT! Hundreds turned out in their bling to raise some bucks for the kids at Children’s Hospital, Denver, drinking much more than just wine at Church. Pro Players Association was honored to have been consulted on the project and asked to provide the celebrities for the event which rose over $250,000 for this most deserving cause. 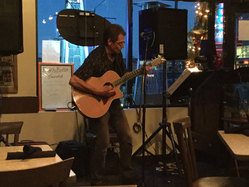 Each of the three floors provided a different genre of musical entertainment and a mini “Taste of Denver” hailed the best of the best who donated their delicious foods for the evening. All of our exceptional celebrity bartenders brought their creativity to the bars and racked up incredible tips for the charity. for this most prestigious fund raising event. 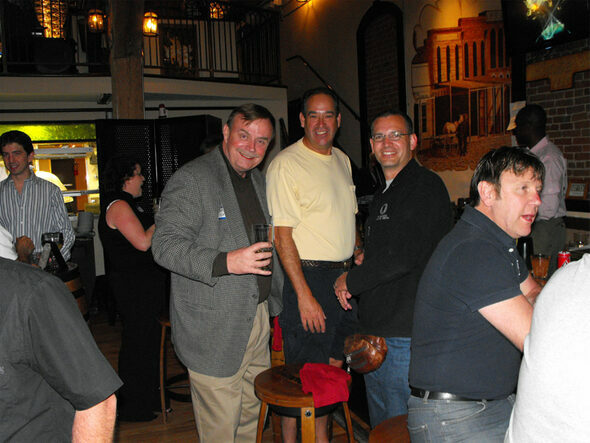 Michael Ditchfield, Tom Ethington and Nick Carlson shaking-up some concoction bartending at Celebrity Bartender Night for Children's Hospital, Nov. 2007. OH WHAT A NIGHT! Colorado Rockies Ryan Spilborghs, Colorado Mammoth/Outlaws Tom Ethington, Denver Broncos Mike Ditchfield, Tony of The Church, Colorado Mammoth/Outlaws Nick Carlson, and Denver Broncos Dave Studdard were among the celebrities pouring for Children's Hospital at The Church Nightclub, Denver. 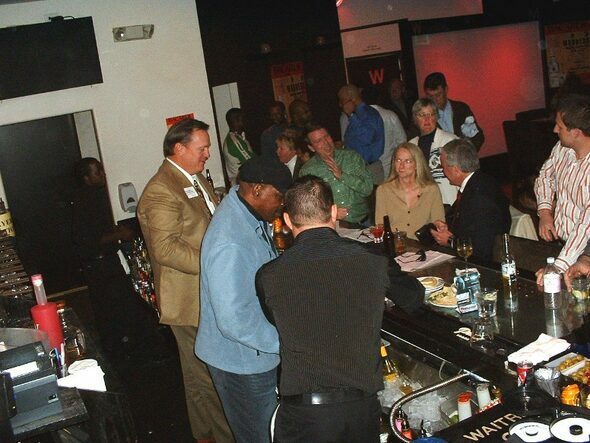 Former Bronco Mark Cooper and Boxing Great Ron Lyle tend bar at the Purple Martini event, March 15, 2007. 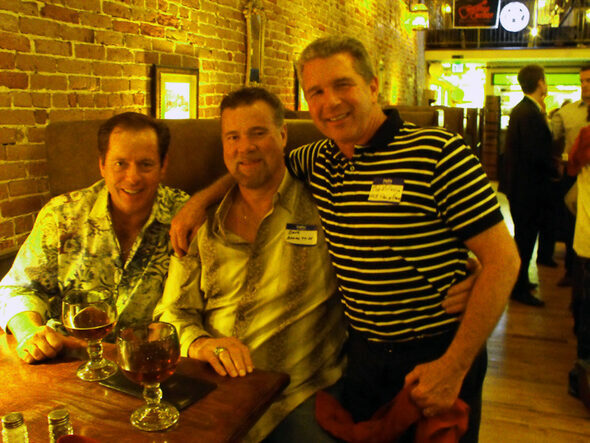 Pro Players Association presented “Celebrity Bartender Night for Charity” at the Purple Martini in Greenwood Village, on March 15th which raised approximately $6,600 in funding for the Fetal Hope Foundation. Professional athletes and media personalities from all around Colorado, came out to mix, shake, stir, pull and pour drinks behind the bar last Thursday night at the Purple Martini, Denver Tech Center. They stirred up some real fun and excitement while collecting tips and auctioning off some awesome items all for a great cause. 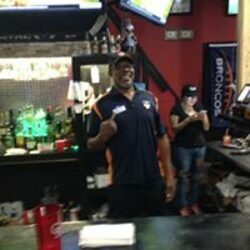 The bartenders included professional athletes and media personalities such as former Heavyweight Boxer Ron Lyle, former World Champion Boxer “Lightning” Lonnie Smith, current NASCAR Driver JimBob Rogers, 2007 NFL Draft Prospects - former University of Texas Longhorns Football National Champion Kasey Studdard, Ultimate Fighter/Kickboxer 5X World Champion Jeff “Big Diesel” Ford, former Green Bay Packer Walter Stanley, former Denver Broncos Ron Egloff, Aaron Smith, Mark Cooper, Le-Lo Lang, Larry Brunson, Michael Ditchfield, former Kansas City Chief Fred McHenry, USBA Boxer Andrea Orozco, Pro Bodybuilder and former Mr. America Tom Terwilliger, and 7NEWS Sports Anchor Steve Gottsegen. Some special guest “hero” bartenders who helped raise the excitement levels in the house were four members of the Colorado Army National Guard. 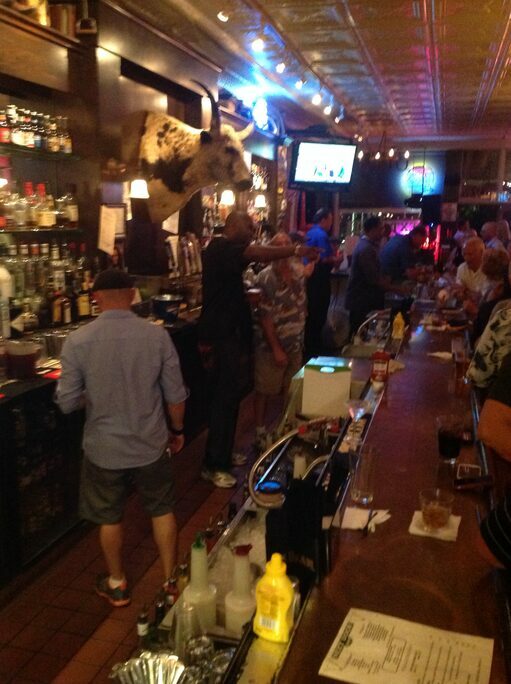 They took command and had everyone cheering when they made their way behind the bar. Awesome items were auctioned live by professional auctioneer Christine Dickensheet. Some highlights of the auction included the rights to display your business logo on a NASCAR, the opportunity to train with World Champion Kickboxer Jeff Ford, and the knockout bidding for the autographed boxing glove of World Champion “Lightning” Lonnie Smith! Then suddenly the front doors were thrown open to the roaring engine of a custom motorcycle blazing into the Purple’s lobby! True Kustom Paint & Fabrication and Mile High Polishing brought their award-winning bike inside for a glance of the fabulous artistic detail made available by their donation for the auction of a $2500 gift certificate towards custom work! 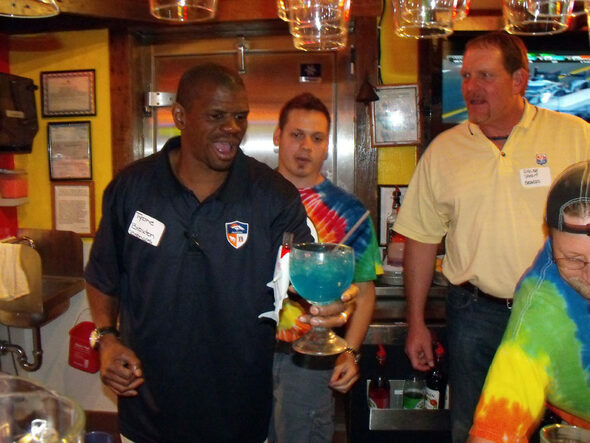 The most creative bartending award went to former Bronco Mark Cooper for his ingenious pouring of “Coop’s Stoplight”. 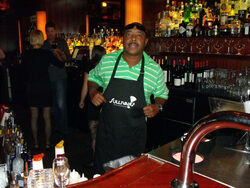 The concoction was made of three-levels of red, yellow and green colored martinis, a real hit with the crowd! Later everyone joined in to dance to the sounds of the DJ’s spinning tunes. The Fetal Hope Foundation's mission is to provide support, provide information, fund research, increase awareness and be an outlet for leading medical information pertaining to fetal distresses and syndromes. They are all about arming families with information to save their baby's lives. Many thanks go out to the major sponsors of the evening, Purple Martini, Bacardi, Coors, First Data Corporation, KMGH-7 and FedEx-Kinkos. Thanks to all the celebrities for volunteering their time. Kudos to the Greenwood Village Police Department for their excellent extra attention provided for the event. The event was so successful that another is in the planning stages. 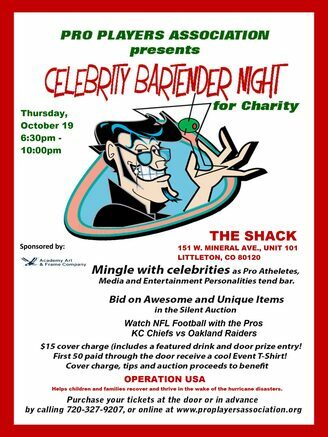 Don’t miss out on this night of fun, excitement, good cheer, and celebrities for a great cause! Keep checking here for more info on this upcoming event. ABC News Anchors Bertha Lynn and Jim Hooley in a "LIVE" interview with Dave Studdard, former Denver Bronco about the Pro Players Association Celebrity Bartender Night. 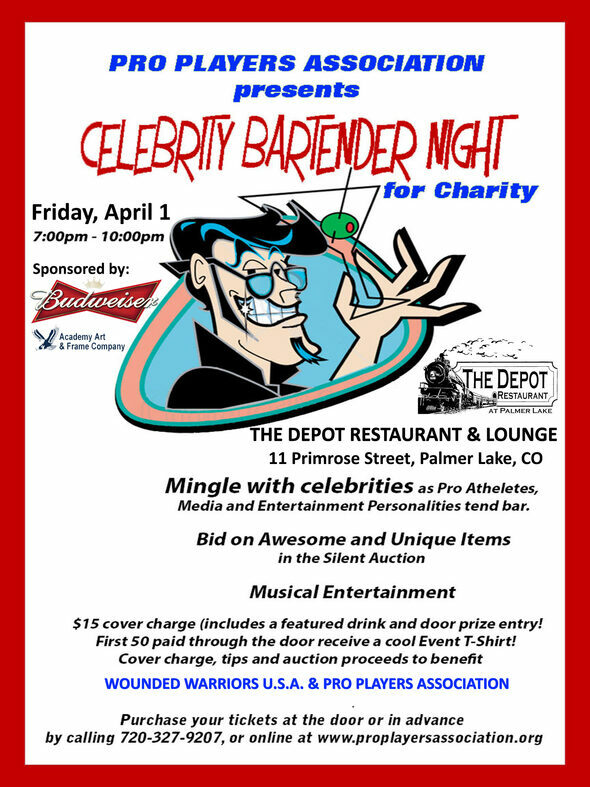 Many thanks to ABC-TV Denver Affiliate KMGH-7 for promoting our Celebrity Bartender Night…and kudos to Steve Gottsegen, Sports Anchor, who not only promoted the event on the air, but also came out to bartend!